A 1920's/30's original smokers bow armchair. 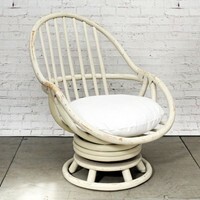 It is all original with a well friezed wooden shaped seat, good spindles and turned legs. We will check over, wax it up and make it sturdy included in the price.